GTmetrix has a suite of features and options to make optimizing your website clear and easy. Sign up for access to additional features to help keep your site running fast. 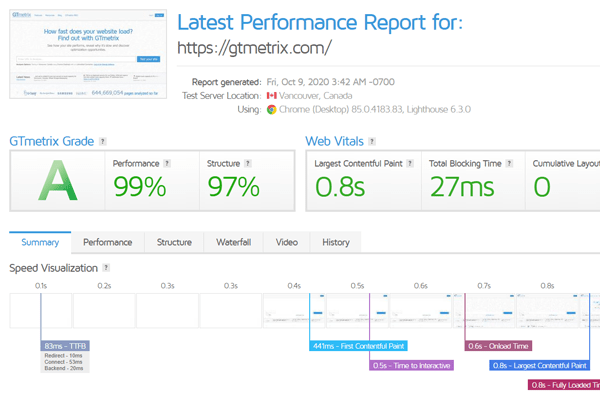 GTmetrix's Report Page neatly summarizes your page performance based off key indicators of page load speed. 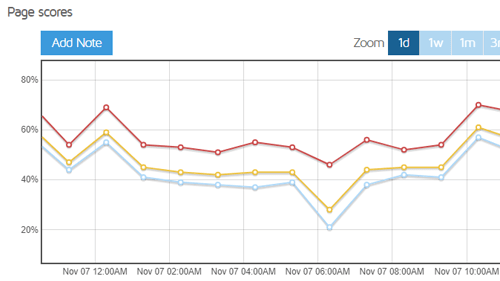 Keep track of page performance with scheduled monitoring and visualize it with interactive graphs. 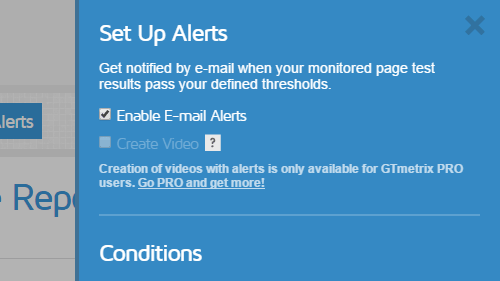 Set up alerts to notify you when your page performs poorly. 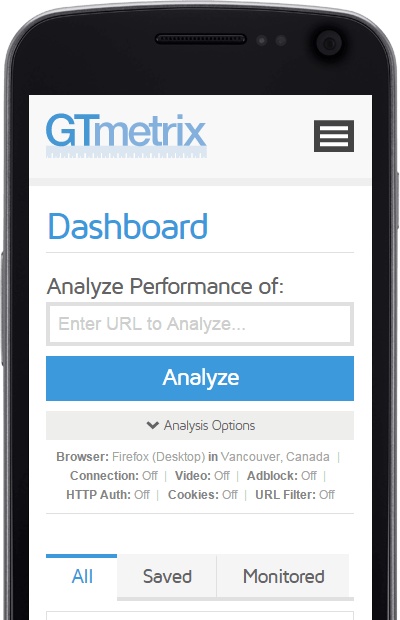 GTmetrix passes your URL through an actual Android device to get real world performance data on your page load (only available at our Vancouver region; monitoring & API access not available). Get real-world mobile performance data - no emulation! You can record your page loads and pinpoint exactly where bottlenecks or stoppages occur! Plus many more options and features! Save and track multiple URLs from one location. Keep your reports for as long as you want. Disable ads on your page and see the performance difference in page load. Great for troubleshooting. Load your page on various connection speeds to simulate Dial-Up, 2G/3G, DSL or Cable - See how your page performs for a wide range of users. Analyze your site with Firefox or Chrome to see how your site loads on each browser. Allow GTmetrix to analyze pages behind HTTP Authentication by passing through credentials. Scan pages that require being logged in by inputting cookie session data. Keep track of all your monitored pages with a weekly digest. Get overviews of all important data in a convenient format. Brand GTmetrix reports with your own company logo and offer insights to your clientele. Only available with GTmetrix PRO. Block or only allow specific resources that load on your page by defining them in a whitelist or blacklist. 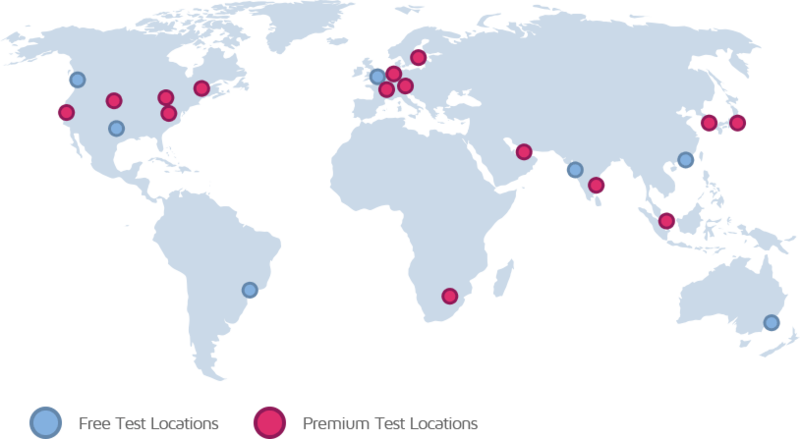 Integrate performance testing into your development environment or application. Get more API credits with GTmetrix PRO. Get more out of your reports! 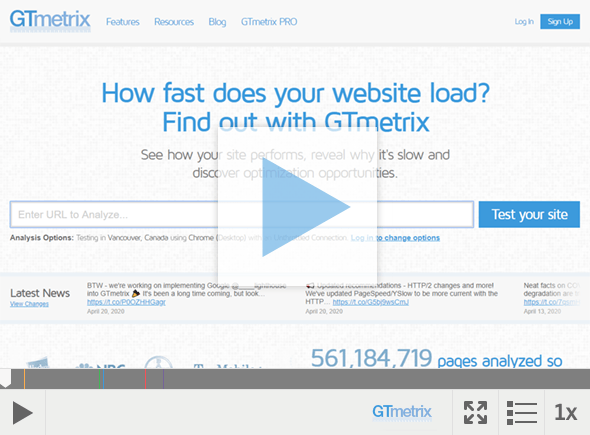 Sign up for a GTmetrix account and get everything you need to make your site faster.